When you look back at life, even when you were at your worst, God was there. He showed up and remained faithful, maybe even when you weren’t. He was always working out His best for us broken sinners. Sometimes we get lost or find ourselves feeling stuck or lost in a certain situation. Maybe it’s a rough breakup, the loss of a loved one, losing a scholarship, I don’t know what that obstacle looks like for you, but I do know that whatever it may be, God is going to use it for his glory, and one day, it’s all going to make sense. Right now, you might feel like giving up. But it’s not time to quit. Not now, not ever. This life we’re all living is a rough one at best. We’re all gonna get hurt, and we will all want to throw in the towel, scream at the person who hurt us, and punch a wall at one point or another. But that’s perfectly okay, however we cannot let our pain define who we become. We have to rise above the hurt and hold onto Faith. God doesn’t just let us fall without having a greater purpose. He loves you more than anything, and nothing you could ever say or do will change that. You are NOT defined by this world. And you are worth more than she/he made you feel. You are a child of the one true King. So through all the trials and heartbreak, we can find our rest and our peace in Christ. It might take faith crazy enough to take the next step without seeing the whole staircase, and it’s not easy, but it is so much more than worth it. 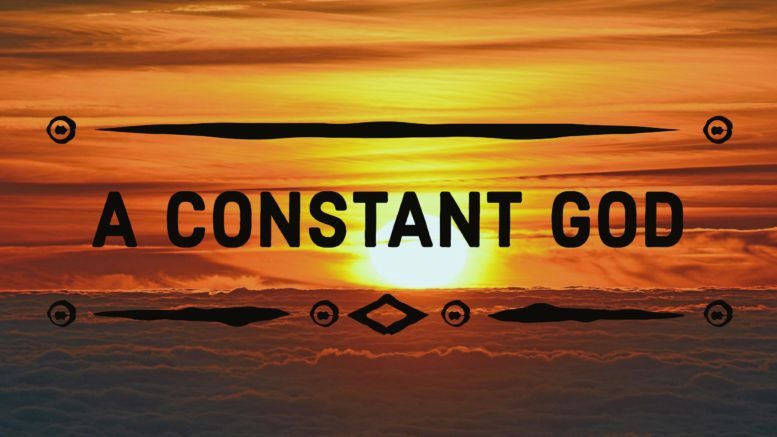 No matter what in your life changes, God will always remain because He is a constant God. You can lean on Him and trust that you will never be let down.